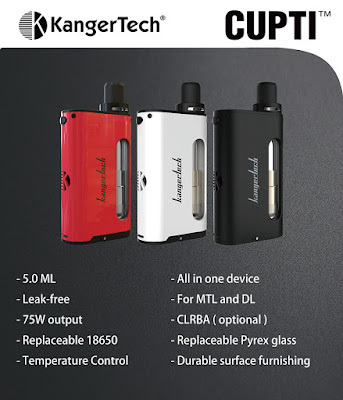 If you are a new vaper and have no idea which e-cig to choose, kanger Cupti Starter Kit is great for you. It’s a all-in-one device so you don’t have to choose atomizer for it, all you need is only this kit, and then you can enjoy your vaping time. Cupti starter kit comes with three colors for you to choose, 75W power output is really safe for you, and the leak-free design also make a good point.